Perched at the top of this week’s list is a sprawling high floor condo at 923 Fifth Avenue with incredible views. A corner apartment with all four exposures includes an entry foyer, dining room with full wet bar, huge living room, eat in kitchen, five bedrooms, five baths, and laundry room. Master suite includes incredible views, marble bath with hot tub, steam shower, two large walk-in closets with dressing room. The renovated kitchen offers top-of-the-line stainless steel appliances, island, etc. One of the bedrooms has been converted to a media room with built-in audio-visual system with projector and screen. Full service luxury condo building offers elevator, doorman, live in management, garage parking, gym, parking, and laundry in building. Listed by Bahar Tavakolian at Stribling for $58,000 per month. One of the most luxurious white glove condos on tree-lined Park Avenue is available for rent at 715 Park Avenue. Three bedrooms, three baths, open living room with oversized windows, dining room, laundry room, hardwood floors, marble baths, and track lighting. Master bath has walk in closet and ensuite bath. Chef’s kitchen has top-of-the-line stainless steel appliances, custom cabinets, and granite counters. Building has elevator, doorman, and other luxury amenities. Rental property listed by Cynthia Cincotti at Douglas Elliman for $25,000 monthly. This lovely, large three bedroom apartment with maid’s room is located at 985 Fifth Avenue. This rental includes a large entry foyer, large living room, formal dining room, washer/dryer, and incredible city views from the balcony. Large chef’s kitchen with dishwasher has separate service entry. Three bedrooms are all master with marble ensuite baths. Only two apartments are on each floor in this full-service white glove building with manned elevator, concierge, and valet. 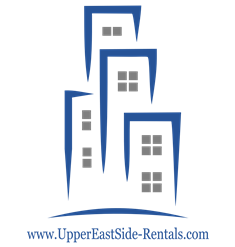 Property listed for rent by Urbana Properties for $20,650 per month with no fees. On the more affordable end of rentals this week, this studio apartment is located at 538 East 85th Street. Separate kitchen area, quiet space, hardwood floors and incredible sunlight in this apartment. Building contains laundry room, bike room, and management living next door. Rental listing made available by Tosh Marks at Chartwell Manhattan Realty for $1,500 per month. This affordable studio sists at 315 East 78th Street between 1st and 2nd. Decent sized studio is front facing, fits queen sized bed and sofa, has an updated bathroom and kitchen. Building is a four floor pre-warlisted by Gail Siller at Prince Real Estate for $1,525 per month. This quiet, rear-facing studio apartment sits at 1733 Second Avenue. Open kitchen with white cabinetry and extra cabinet space, hardwood floors in living room, and breakfast bar. Listed for rent at Eric Goodman Realty for $1,550 monthly.